All TREASURE MTN. ESTATE homes currently listed for sale in Park City as of 04/25/2019 are shown below. You can change the search criteria at any time by pressing the 'Change Search' button below. 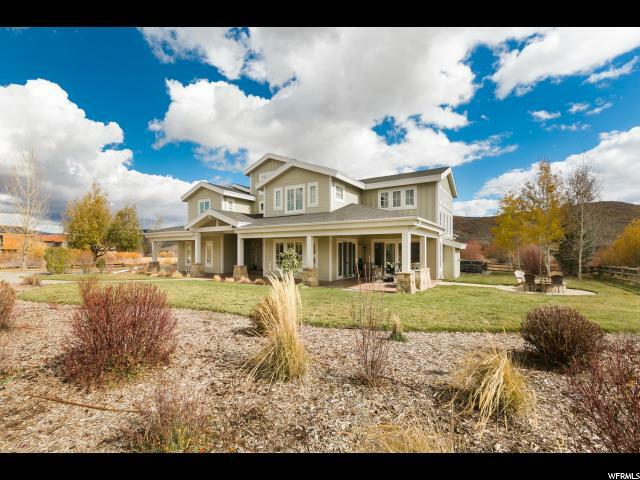 "Highly desirable Park City Old Ranch Neighborhood home, on 2.2 acres of private bliss. Situated perfectly on one of the best lots featuring maximum setbacks from neighboring properties. This home has all the room you need to spread out and entertain with ease. With a theater room, formal dining area, jaw-dropping family room with floor to ceiling windows, and a separate den with wood burning fireplace with access to the backyard and jacuzzi, this home welcomes everyone who enters. Each Bedroom is The master suite, located on the main level, includes dual vanities and a sizeable walk-in closet. Other luxuries include a fully-equipped theater room and two gas fireplaces, oversized 3 car garage, and copious flexible living space. Quick access to Willow Creek Park, Schools and Ski resorts. Fabulous Ski Resort and Meadow Views. 30min to SL international airport. Each of the 5 bedrooms is a suite with its own private bathroom. Square footage figures are provided as a courtesy estimate only and were obtained from county records. Buyer is advised to obtain an independent measurement."